If you own a Samsung device you might have noticed the annoying pre-installed Samsung bloatware which you will most likely never use and just want to get rid of. If you have tried deleting them you might have noticed that it isn’t that easy to do. What is Bloatware? Bloatware are the pre-installed services and apps you didn’t ask for. Many manufacturers these days sell devices that come with their own apps preinstalled on them, this is something you might not want as most of the time the apps are actually useless or not as good as for example Google’s own services which also come preinstalled on the device. Why should i care about them anyway? Samsung is one of the manufacturers that has more bloatware on their devices then any other manufacturer. These apps take up a huge amount of space and resources making your device slower and draining your device’s battery. The difference? One requires an installation and method 2 doesn’t. Can i get any of these apps back once removed? Using method 1, no. But if you want to be able to get them back on your device then Method 2 might be the one for you as it only “disables” the app. Reboot your device and you should have TrulyClean installed like any other app. 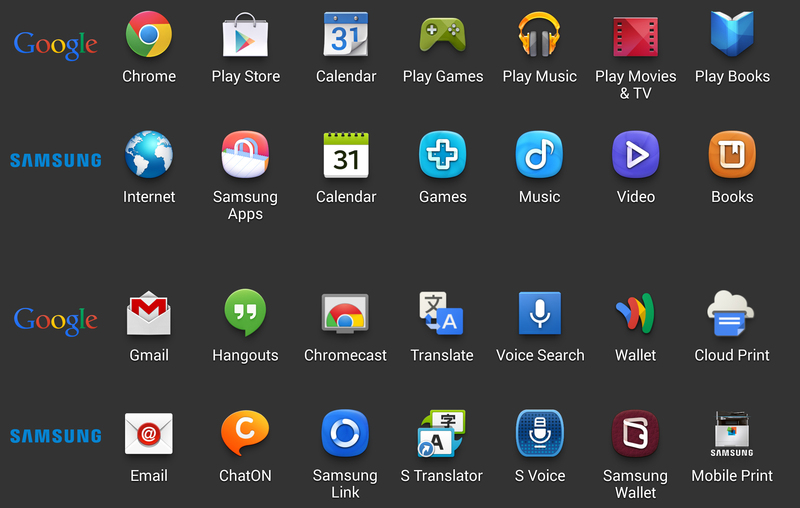 Fire up the app and select the Samsung Apps you want to get rid of. Be careful that the second method could cause other apps to stop working and could make your device inoperable if used incorrectly.